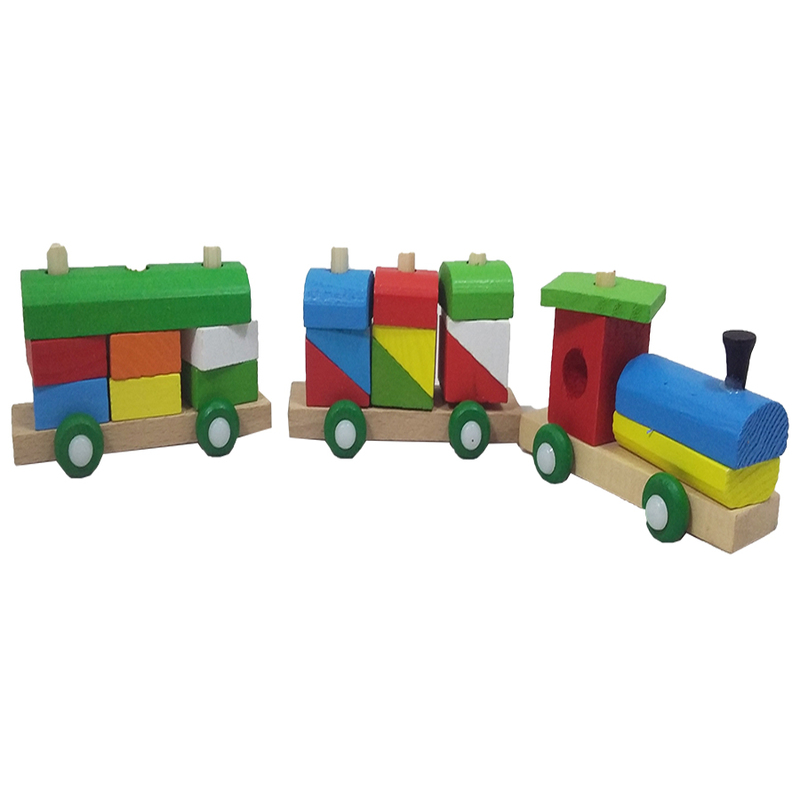 three-building-blocks-train Three Building Blocks Train Wooden Train, Load up the train with bright, colorful shapes and get learning off to a rolling start! The 36 easy-to-grasp wooden blocks slot onto rods on the flatcars, providing a great opportunity to practice fine motor skills. Product #: 201880 4.4 stars, based on 89 reviews Regular price: Rs 999 Rs999 (Sale ends 5 May! ) Available from: Laptab Condition: New In stock! Order now! Get learning off to a rolling start! Bought by 109 people! HOT SELLER!